Mark Bitterman has one of the coolest jobs on the planet, and if his name sounds familiar, perhaps you’ve been to his The Meadow store in Portland, Oregon, or Manhattan. The author-retailer — who wrote Salt Block Cooking (Andrews McMeel Publishing) — collects salt the way Imelda Marco accumulated shoes. (He also deals in exotic chocolates, rare bitters, and more than 50 types of vermouth.) If Americans now routinely grill with flat crunchy crystals of Maldon salt from Ireland, sulfurous black salt from India, pink salt from Hawaii, and of course Himalayan salt slabs, well, we have Bitterman in part to thank. According to Bitterman, Himalayan pink salt doesn’t actually come from the Himalayas—name not withstanding—but from a 600 million year-old deposit in Pakistan 100 miles to the south. The salt owes its striking color to minute traces of magnesium and iron. 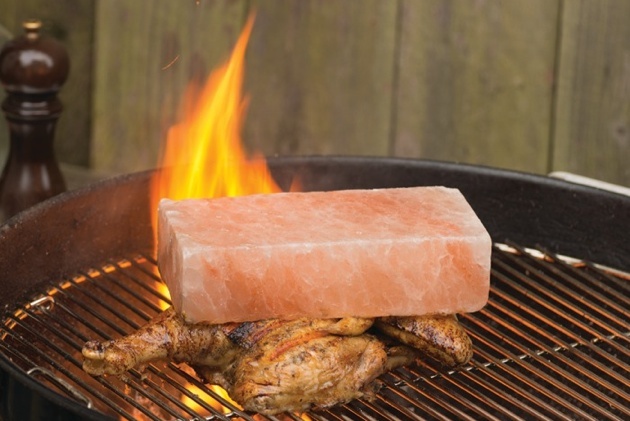 In addition to using a slab of Himalayan pink salt as a grill press, you can also use the salt block as a sort of plancha. Heat it on the grill grate and use it to cook whole snapper seasoned with mint and ginger, or asparagus stalks wrapped in pancetta, or pineapple “steaks” glazed with curried agave syrup (three recipes in the book). 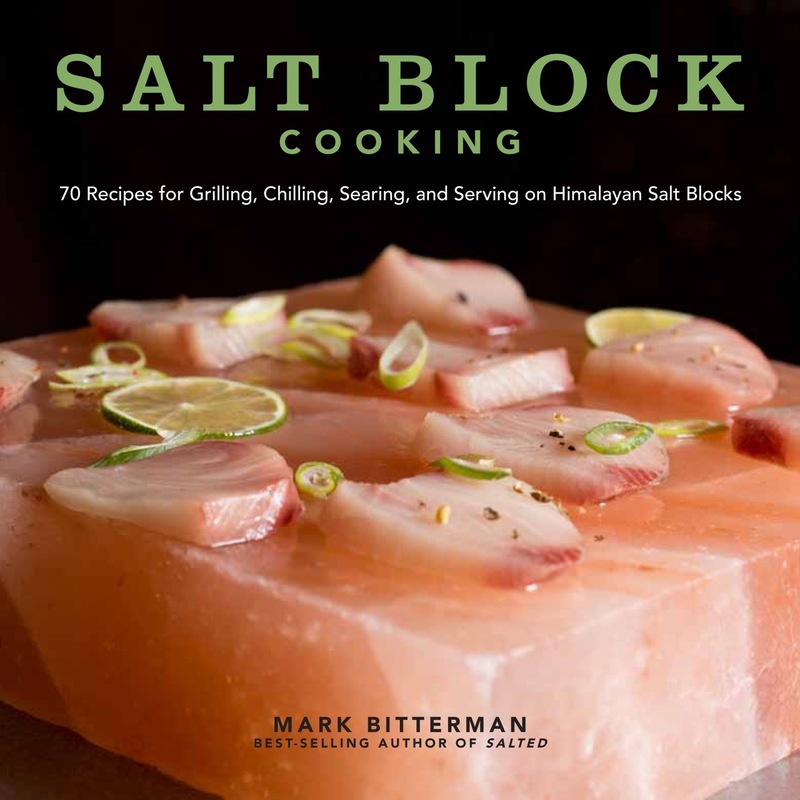 Moving beyond grilling, Bitterman suggests uses for salt bocks you never dreamed of, from cocktails to candy, from ceviche to pizza, even ice cream mixed and served on a frozen salt slab. And yes, you can reuse the salt blocks. Try Mark Bitterman’s Salt Brick Grilled Chicken recipe!